Here is my current situation. 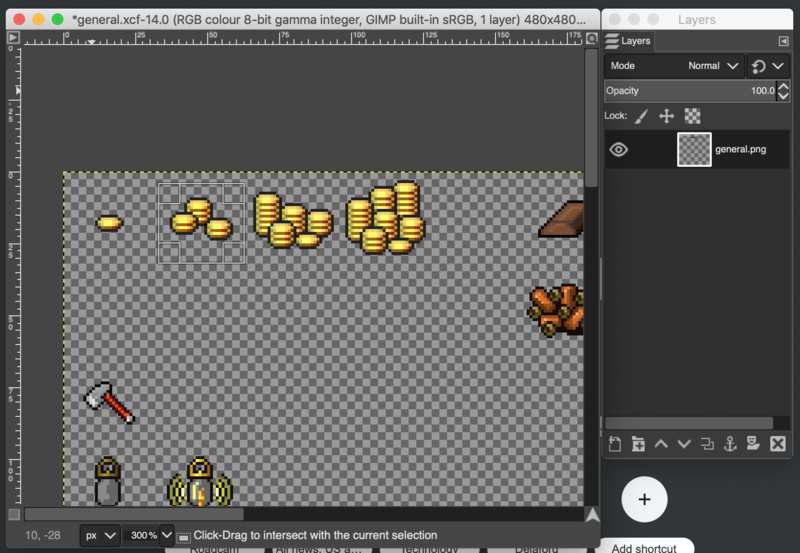 I am trying to select the selection inside via CMD+SHIFT+L so I can move the gold coins around a bit. But I don't seem to be able to do so. Select -> Float seems not select it either. Ctrl-Shift-L would indeed work on other systems. Alternatively, you can use Ctrl-X+Ctrl-V to detach the area from the layer, move it around with the Move tool, and then anchor it back with Ctrl-H.
Not the answer you're looking for? Browse other questions tagged gimp mac or ask your own question.